Lab-created opals are man made from a material that has the same chemical composition (hydrated silicon dioxide) as natural opal. However the lab opals don’t have any cracks, inclusions or host rock (matrix) as their natural occurring (and more expensive) counterparts. Lab opals are impregnated in laboratory in around a year and they have similar properties as those of natural opals. The main difference with natural opal is that the naturally occurring process has been sped up in the laboratory. 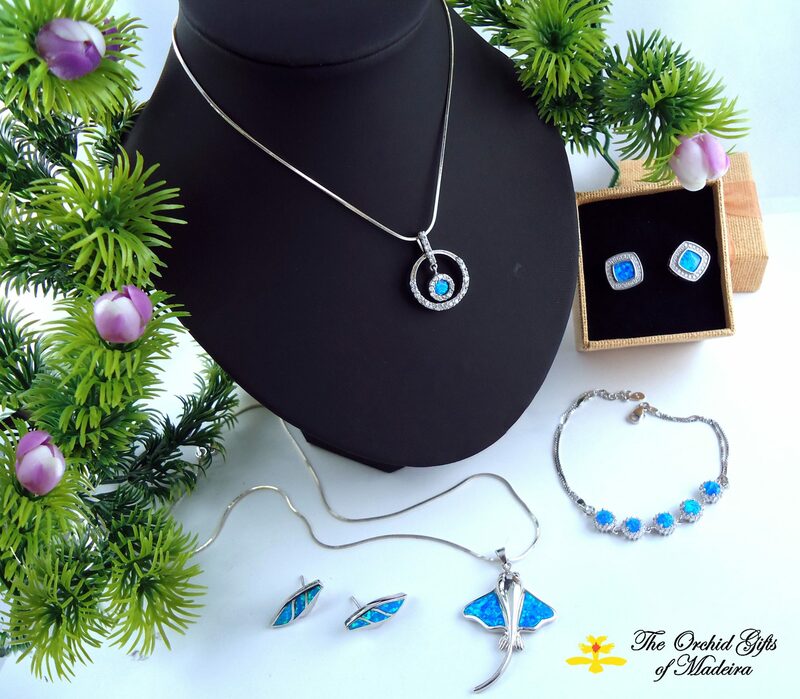 Our beautiful lab opal jewellery with striking colours is set in rhodium plated silver. Error: Error validating access token: Session has expired on Tuesday, 15-Jan-19 07:09:03 PST. The current time is Monday, 22-Apr-19 17:41:49 PDT.